As a producer with San Diego video production company, BizVid Communications, I am often amazed at one of the more challenging and creative sides to the video production process, motion graphics. Motion graphics is the art of taking ordinary images and turning them into works of visual art. The skill set required to produce this type of video is extensive and the learning curve is very steep. If you are an avid fan of television, you probably take for granted the labor that goes into the things you see. Take for example the opening of American Idol. As you watch that thirty seconds, your senses are bombarded with a cacophony of sound, moving design and pictures. Images and text fly around with seamless ease and do so in harmony with the music track and voice over announcer. The American Idol open is a perfect example of motion graphics that is usually created in Adobe After Effects, Maya and other software programs. 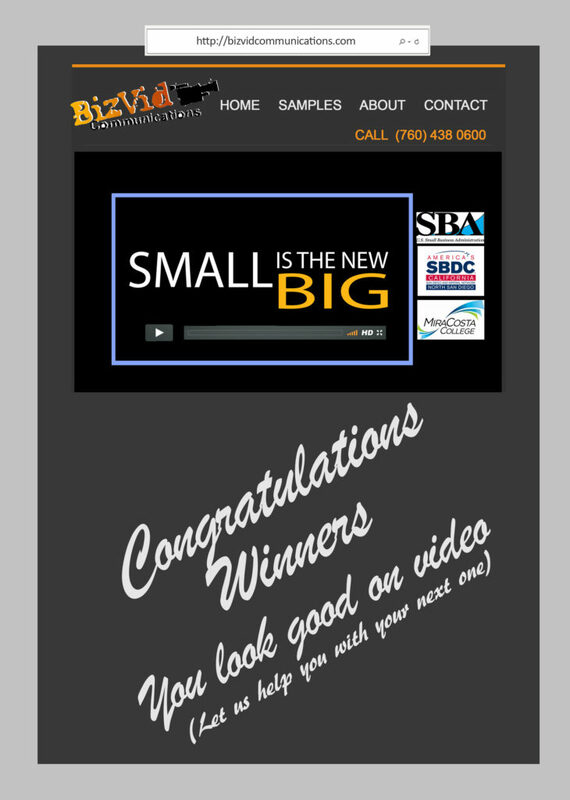 At BizVid Communications the art of motion graphics is alive and well. Nearly all of the videos we create for our clients incorporate motion graphics in some form. It ranges from a simple, yet effective treatment of their logo to a full blown animation used in the body of the piece. Click the screen below and you will see our motion graphics demo. It contains snippets from various projects and each was created by Dave Matthies and Cowboy Mustache….a motion graphics partner with our company. We at BizVid Communications live by the old school strategies of making the most out of every production. This is a way to get the most out of every production dollar. Videos produced for a web page, may also find a good and fruitful life within other social media applications. Place it on YouTube with link information back to your website. Tie it to Facebook and other media. Consider building a 30-second or 60-second version for possible cable or television advertising use. It may even work well to pull the sound track off selected areas of the video and make it part of your call holding message. Pieces of your message may also be included in emails to clients and/or prospects. Further uses may include taking excerpts and attaching them to press releases to introduce products, services, new releases, new hires. You get the idea. Elements of your video may be used for training, informing, or even motivating. Pieces may be used at trade shows or within presentations. Remember, money is tight these days. Those who apply their investments across multiple media will get more bang for the buck and more business, too.